A blend of 100% therapeutic grade and organic clove, cinnamon, lemon, eucalyptus and rosemary essential oils. A portable nontoxic cleaning, disinfecting and “keep colds at bay” miracle in a bottle. Thieves is the oil I use in my diffuser – it helps to kill any airborne bacteria and also freshen the air. 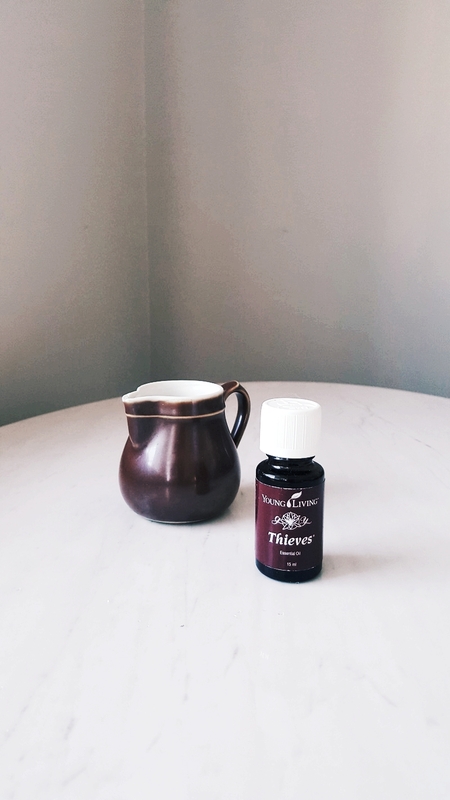 I rub just 1 drop onto the bottom of my feet for my immune system - especially when I’m feeling run down. It’s also wonderful in removing the odour in your dishwasher when you add a drop or 2 to the cleaning powder. Did I mention it was a miracle in a bottle? !